…. ( Bhaagavatha Apachaara) …. Azhwan submitted , with tears . Will.. Lord ever forgive us for this great transgression for which he was a mute spectator………..
Once the revered Acharyar Nadathoor Azhwan was on the way to a nearby temple . He met a learned srivaishnava friend who had come to accompany Azhwan upto the temple . En route they were discussing the divine experiences of Azhwars and Poorvacharyas . Suddenly they came across another srivaishnava with Tilak but was belonging to a lower caste . As was the custom those days on seeing the two revered Acharyas he moved to another side of the road and waited obediently for them to leave . The learned vaishnava friend who was accompanying Azhwan looked at the passerby and started shouting at him for trespassing …….. and was too harsh on him …..
Nadadoor Azhwan who heard his shouts , fell down in a swoon . He was brought back to consciousness . The learned Vaishnava asked Azhwan………………. If his health was fine and why did he swoon ? Azhwan who was already in a deep shock explained ..
My dear scholar .. ………………..
Do you know , who was that srivaishnava whom you misbehaved with ? ………………. ——The learned vaishnava put a blank face . That great soul belonged to the family of Thiruppan Azhwar who with his just 10 verses of Nectarine Amalanadhipiran pasurams merged in Lord’s lotus feet and got liberated . It has been repeatedly said and proved that If one indulges in a transgression involving a devotee ( Bhagavatha Apachara ) even the brahmavidya will be rendered ineffective in combating the effects of the karma. Among the different types of transgressions for a devotee the first arise out of disrespectful reference to another’s birth . It is a severe offense to brand a person for his low caste as all are vaishnavas , without reference to caste are worthy of worship . This vaishnava is also a great devotee who has qualities of abundant mercy and compassion and that was the reason he respected you and just moved away . He can recite all the 4000 Divya Prabhandams pasurams . He is so fortunate to be born between the two cauveries . You have misbehaved with a great soul just because of his appearance and caste …..
Am I not a low caste person when I claim I am Independent dear scholar .. ..
Azhwan listed out several pastimes from ( Revered saints ) Poorvacharya’s works to drive his point and takes a verse from anthimOpAya nishtai………..
Those men who insult my devotees, even a chandala , are never excused by me even after the passage of millions of years. extent of destroying the whole world if they are disrespected…..
Azhwan submitted , with tears ………………..
Swamy Mudumbai Nambee Ananthacharya was one amongst the 74 Simhadipathees nominated by Jagathacharyar Swamy Ramanuja . Swamy Ananthacharyar belonged to the illustrious family of the great srivaishnava stalwarts Swamy Pillai Lokacharyar and Vadakku Thiruvidhi pillai . .
During 1360 , Swamy Ananthacharyar was blessed with a son who was named as Hasthagiri Ananthar Anna being ardent devotees of Lord Varadaraja . ( Lord Varadaraja has been giving darshan to the devotees at this holy place called “Hasthi giri”. ‘Hasthi’ means elephant and “giri “ means hill) . The young boy was very attractive and devotional right from his childhood .The boy was admitted in to the school of Swamy Nayana varadacharyar , the direct descendent of Swamy Vedanta Desikar . He received the Vedic inputs from his Acharya and progressed in leaps and bounds by his sheer devotion . During this period , a staunch Advaitin Narasimha Mishra had come to Kancheepuram . He decided to debate with the learned scholars in that area in proving the supremacy of Advaitam and thus convert the opponent and his followers into his fold . As his mission was incomplete , he invited Swamy Nayana varadacharyar for a debate as was done during those days .The bet was announced that the one who looses will follow others faith along with his followers . Swamy Nayana varadacharyar was not keen to interact with the scholar and not able to decide how to ignore his request too . It was the last day .The young boy could see his Acharyar’s concern . He wanted to somehow make his Acharyar happy . He understood from his senior disciples what made his Acharyar sad . He never wanted the rich heritage of Vishishtadwaitam being taken for a ride by the vedantin .It was a high time to make the world believe the glorious sampradaya Jagathacharyar Swamy Ramanuja had given us . The young boy approached his Acharya and pleaded him to be allowed to take upon the vedantin . Swamy Nayanavaradacharyar was glad that the young boy was also thinking in the same lines .Confident of his victory , he blessed the child with Sri Hayagreeva Upadesa mantra and wished him the best . The young lad Hasthagiri Anna with the blessings of his Acharyar walked into the debate hall which had revered scholars from different places . The locals also assembled to watch the Vedantins arguments. He looked at the learned scholars and the great vedantin Narasimha Mehta . He was amused with his looks and the arrogance in his speech . The vedantin chuckled at the boys entry for his age and size . He said this boy is of no match to me .Anyway as his guru has sent him on his behalf , let me bundle him up with simple questions !! he thought . Hasthagiri Anna looked at the vedantin and said .. Hey Vedantin .. Are you going to wage a war against me ? Why does size or stature matter to you .For a person like you I am the best match .Let me not disturb my Gurudeva ..The debate is to convince you and all these so called scholars the illustrious sampradaya of Jagath Acharyar Swamy Ramanuja is supreme .If you have any doubts , questions ask me else accept the sampradaya which will give you moksha . Few onlookers rushed to their Acharyar to inform him about Hasthagiri Annas mastery in handling the vedantin with esoteric truths .The Old Acharyar walked along with his disciples to see the brave boy’s confidence . Hasthagiri Anna presented many verses in the Vedic texts to demonstrate the supreme position of Swamy Ramanuja’s Vishishitadwaitam . The debate ended with the vedantin accepting the supremacy of the sampradaya . All the scholars unitedly agreed with jubilations about the young boy defeating the arrogant vedantin in his own den. Overjoyed the Acharyar hugged Hasthagiri Anna and said henceforth you will be called as Prathivadi bhayanakaram Anna . Meanwhile the Vedantin along with his followers rushed to Anna accepting defeat and pleaded to be taken in their fold . The Acharyar blessed both of the disciples and handed over the reins of the school for him to take over due to his old age . Swamy Annan was carrying out the Theertha kainkaryam at Kancheepuram as done by our Jagath Acharyar Swamy Ramanuja . One day he took permission from Lord Vardaraja for having darshanam of Lord Sreenivasa at Tirumala after getting immersed in the Nammazhwar’s description of Tirumala and Lord Srinivasa in Thiruvamozhi . Anna became associated with Swami Ananthanpillai descendants and was engaged in serving Lord Srinivasa by collecting and preparing the water required for His worship every day. One day, while returning from Akasha Ganga after having gathered the holy water to be taken to the Lord, a devotee from Srirangam came across his path. As divine will would have it, they entered into a conversation. The devotee from Srirangam narrated the glories of the revered saint Svami Mamunigal and his extraordinary service in Srirangam. Anna was deeply moved on hearing about Swamy’s devotion to Lordships and the zeal to carry out the mantle of Jagathacharyar Swamy Ramanuja’s philosophy all over . In the process of hearing the satsangath , he completely forgot about the holy water he was supposed to deliver to the Lord. Having exhausted with their patience, the priests from the temple came out in search of Anna and hurriedly collected the pots of holy water from him and rushed back to the temple to complete the worship according to established protocol . Anna was confused and hence rushed to the temple to inform the priests that he had not yet prepared the water by mixing in it fragrant substances, as was the norms . But as it was too late the worship had already begun and nearing completion . Anna was cursing himself for overlooking the protocol that was followed . He was dejected for not compiling with the procedures thus committing an offence . Standing all alone inside the temple Anna was seeking forgivance . Lord Srinivasa , all compassionate Lord , broke his silence .There was a divine voice coming from the deity form, addressing him , “Oh My dear Anna! The holy water you delivered today had the best fragrance and quality. I am pleased with your service!” Don’t be dejected !!! This was a shock to Anna, who had not added any fragrance at all that day. On pondering , Anna realized that the water must have got fragnant by the mere mention of the account of Swami Manavala Mamunigal vaibhavam . Realizing the glory of the saint, Anna took permission from Lord Sreenivasa and left Tirumala heading towards south to srirangam to have Swami manavala maamuni’s darshanam . On reaching Srirangam , Anna has darshan of the Lordships and goes straight to attend the discourse of Swamy Manavala mamuni which impresses him very much . He waits patiently for having Acharyar’s darshanam . Amongst all the disciples , Swamy Manavala Mamuni calls him and asks Oh! You are that srivaishnava called as Prathivadi Bhayankaran in a lighter vein . Anna humbly offers obesiances and replies Swamy , that he is Prathivadi Bhayankaran to his opponents and a servant of servants to srivaishnavas . Swamy is pleased with his commitment in protecting our rich sampradaya and honours him with another title “SrIvaishnava dAsan”. 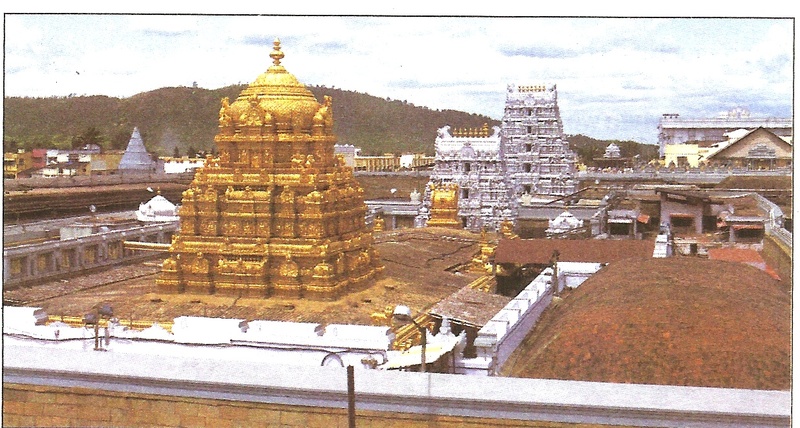 Later , Anna moves to Tirumala for serving Lord Srinivasa . Swamy Manavalamamuni joins him at Tirumala and taken by the glory of Lord Srinivasa, he ordains his disciple Prathivadi Bhayankaram Anna to compose hymns on Lord Srinivasa through which Lord’s glory is well understood and enjoyed by all walks of people. Anna taking his Acharyar’s command composes hymns on LORD that shed light on the greatness of the Lord of the Seven Hills. Annan, pens the morning song suprabhatham slokas comprising of (29 verses , stotram 11 verses , prapatti 16 verses and mangalam 14 verses) The holy verses has four aspects Suprabhatam, which is the actual awaking of Lordships Sree and Vishnu, Stotram, which is essentially a glorifications and the last Prapatti through Sree and the beautiful Mangalam to Lordships which serves as a conclusion. These four hymnal renditions of Anna are the hallmark of worship that are conducted in Srivaishnava parlance. The Vaishnava Agamas require the Lord to be worshipped and honoured at least as much as a king is. The Suprabhatam or wishing of an auspicious dawn is not only analogous to the service offered normally to the royalty but also an expression of Mangalasasanam. Mangalasasanam is the highest virtue recognized in Srivaishnavism. Swamy Manavala Mamuni then ordered his disciples , that every day except in the month of Margazhi, these four stotras must be recited at the time of opening of the temple sanctorum in the morning which is being religiously followed till date . Thus we have an advanced Acharyar Swamy Prativadi Bhayankaram Annan of Tirupati Suprabhatam fame who was a disciple of both Swamy Vedantha Desika’s son and Swamy Manavaala Maamunigal, indicating that there was no remarkable differences in following between the two sects . His treatises establishing the unifying nature of all of our acharyas are a treasure for several generations . Check few more divine incidents about Lord Venkateshwara in the below appended posts . A toughest enemy would also adore Bhattar on listening to him. Bhattar’s skill in answering a person’s question even before the questioner has finished asking the question was marvelous, and offers food for our thoughts , thus pondering the filthy mind which always rests in the ocean of egoistic approach . Two divine pastimes mentioned below awakens one to work on our approach and seek Lord’s lotus feet unconditionally . Once Bhattar went to a temple with his disciples to worship his beloved Lord Ranganatha . Unfortunately, the shrine was closed to the general public. In those times, the closing of the shrine to the public was usually expressed through a divine servant shouting out the words “netrapaani, netrapaani”. While this was happening, swami Bhattar was inside the enclosure created by the screen that separates namperumAL’s shrine and the outside. Bhattar simply smiled at him. but , the disciples of Bhattar couldnt accept and hence started to shout back at the person . The disciples were shocked and taken aback,. They were confused on hearing these unusual words from their guru Bhattar. “Swami, we are not taking revenge at you, but only at the person who inappropriately, misbehaved at you”. Bhattar explained to them “The person at whom you are shouting has done a great favour to me . And by shouting at him, you are showing ungratefulness and are becoming a nuisance to him by shouting at him”. “It is the duty of every Sri Vaishnava, while worshipping the Lord, to speak out his own bad qualities and the Lord’s kalyana guNas. Our Namperumal is very busy with so many utsavams and does not find enough time to listen to my bad qualities which are innumerable to be told completely. Given that this is the case, this swami serving the LORD has indirectly helped me and has taken up my task in his shoulder and put forth the bad qualities of me before the Lord and the Lord is also very pleased to hear. Once Swamy was proceeding to attend a festival in nearby temple away from Srirangam . He had to walk into deep bushes . En route he met a hunter. The hunter was spellbound looking at Bhattars composure and tejas . He immediately offered obesiances to Swamys lotus feet and offered a seat to Swamin . Srivaishnava acharyas had the unique trait of looking at everyone with respect and hence Bhattar also made him sit along with him . A srivaishnava is a person who never cast anyone as low or high by how he looks or where he lives. The instinctive prejudice that has diseased the society was never in their midst and hence the respect and love from the common folk was visible . 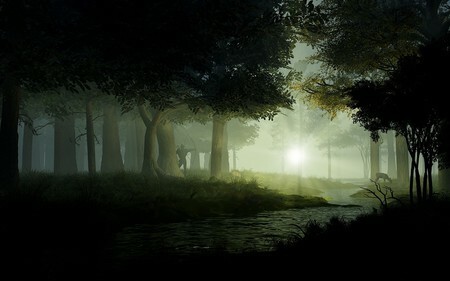 Having taken his seat, Swamy, with his usual inquisitiveness, asked the hunter of the daily routine in and around the forest. The hunter was excited to have the audience of the distinguished seer and sharing dais with his holiness . He mentally rehearsed what he can reveal and decided to tell a strange incident that he came across . 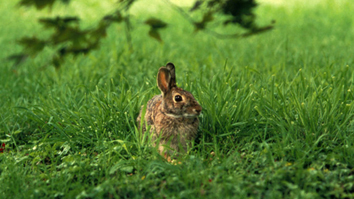 I decided to find food at any cost and headed towards a rabbit habitat. I was overjoyed when I found a little baby rabbit . Holding it by the ears, I started walking home. Having walked a few steps, I sensed something nibbling at my feet. To my surprise, I found the mother of this rabbit was at my feet. Its behavior was very strange. It kept nibbling at my toes and quickly ran around my feet and came back to the toes. This kept on happening for some time and I couldn’t put a foot forward. My mind stubbornly directed me to make my supper with the rabbit BUT my heart overruled the mind and demanded the release of the little rabbit. I was overcome with compassion and remorse that I put down the child rabbit. Both the rabbits went around me a couple of times and merrily jumped may be blessing me for letting them go safely . And to my surprise, this feeling overpowered my hunger and I was feeling my stomach seemed full. “Oh Lord Ranga! My Swamin …. How can we narrow down the concept of Surrender to a certain set of rules? This small incident where a man devoid of any shastric learning melts down to the surrender of a rabbit and forgoes his hunger. 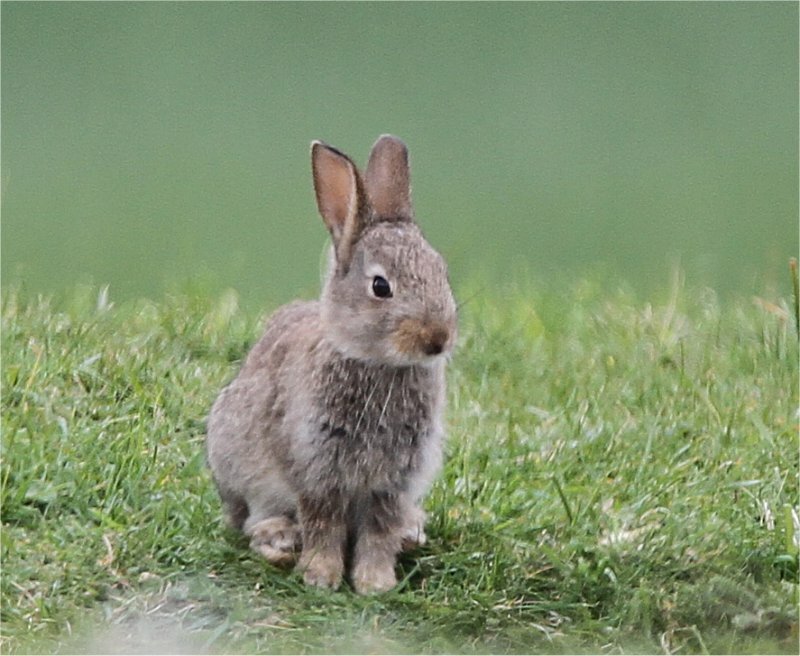 A rabbit, absolutely devoid of any sort of tatva gnyanam instinctively surrenders at the feet of the hunter and seeks the release of its child! How can unconditional surrender have stringent rules? Near Tirunelveli -Thiruchendur route at the northern banks of the holy river Tambaraparani river , there is a glorious temple of Lord Vaikuntanathar . 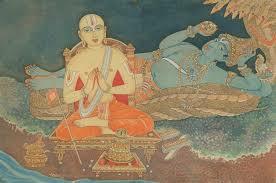 Lord rests on Aadhishesha facing the east holding a wonderful mace in his divine lotus hand . In this small village few hundred years ago there was a thief ,kaladhooshakan . He was a nice devotee of the Lord . He used to visit the temple in the day and pray Lord for a good booty in the night . It was a one to one conversation. He made it a practice to offer fifty percent of his loot for some service to the Lord. Though it was always petty thefts , he wished he somehow looted the royal chambers . He ardently prayed LORD for his mission to be accomplished .He meanwhile worked with a plan to navigate the royal chambers for the d-day in his looting expedition. Days were passing and his prayers became more frequent. It was Karthika Pournami day . He went to temple and offered his obeisances to the great Lord. He said , Lord ! Today I will be entering the royal chambers and with this loot , I would offer you a majestic diamond studded crown .Please be with me .. Very energetic and enthusiastic , he moved out of the temple . He called his friends and said . Friends …Today is very special day for us …With this royal loot we would be forever happy . I want all of you to coordinate as per our plan and make this loot memorable and bounty full . I am sure we will be successful as Lord has assured all the support as he is doing already . Lets all assemble before the temple tonight before we leave to the royal palace . The moon was glowing in full radiance . Kaaladhooshakan arrived in disguise . He was at the temple doors . Ardently praying , he looked at the temple top and with reverence bowed down seeking Lord’s permission to proceed . His friends quickly joined him with all the tools needed for the challenging task. Together they crawled in the dark night in different routes to reach the destined place as per their plan . The royal palace was huge and the compound walls were strong . Kaaladhooshakan was waiting for this day .It was an Olympics moment . He waited for his friends to arrive meanwhile working out his mind how best can his mission can be accomplished . As his friends approached , he said .. My dear friends !! This is a wonderful opportunity . Just be with me I will make your lives happy forever without any one to do petty works . Just signal me If the guards are approaching me . Each one of you will transmit some cheeky noise for me to be alert . I shall go there inside those royal chambers and all of you have to just keep a vigil no one comes while I am on my job. All of them agreed to follow the plan meticulously . Kaaladhooshakan managed to climb the compound wall with a strong rope . He looked around to see If their were any guards watching him . Thus, managed to quickly reach the royal chambers . Not having much problem with the darkness as the moon was always following him giving sufficient light to trace his jewellery destination he crawled into the dark night . The huge balcony was unguarded . He managed to make his way into the room . The room was full of ivory cupboards and had royal touch . Kaaladhooshakan was stunned to see the opulence . He quickly looked into the ivory cupboards that had precious jewellery. Every jewellery he picked , his mind raced to adorn the Lord with them . All the time he imagined each jewellery would have been more attractive had it been with our Lord . He started quickly pushing all those jewellery into his gunny bag . The bag was full with the precious jewellery .His mission was accomplished . Thanking LORD for his support , he quickly marched towards the compound walls for making his way back home. The dogs looking at his friends who were waiting near the compound wall , started barking . The guards immediately pounced on them and questioned . Looking at their speech and body language the guards arrested them for further questioning . At the royal chambers , the theft was noticed the next day . The guards paraded Kaaladhooshakan friends before the King . At the village , Kaaladhooshakan got nervous . As the sun rose , He quickly rushed towards the temple and pleaded LORD to save him . All compassionate Lord appeared before him as a Priest and assured him everything will be for his own good . Kaaladhooshakan promptly left the temple with an assurance from Lord . Meanwhile as per the directions of the friends who were already caught , the guards reached the temple to find about the whereabouts of Kaaladhooshakan . Lord now appeared before the guards as Kaaladhooshakan and submitted before the King in all opulence . The King was stunned to see Kaaladhooshakan . The bewitching smile and the magnetic aura he carried made the entire court spellbound .The eyes carried a special effect. The King was just watching his glowing face .Meanwhile , the minister questioned him for the reason his stealing . The thief ( LORD ) said I have stole that part of the wealth which is as per dharma. Your majesty has not protected the dharma as a King and hence we had to interfere . The King was shocked to hear Kaaladhooshakan quoting vedic scriptures and thus proving his innocence . The spark in the eyes of Kaaladhooshakan made the King keep looking at him without any whisper .He realized he was not an ordinary thief but LORD himself who had come to enlighten him . He immediately ordered his minister to renovate the temple and release Kaaladhooshan and his friends and ensure they had a decent living . For the divine leela enacted ,Lord is glorified as Kallar –piran/Chora-nathar(head of thieves) A rare incident happens during the 6th day of Chithirai month . Sun rays falls directly on the lotus feet of Lord Vaikuntanathar . Lord is also glorified as Paal pandiyan as a token of acceptance from the pandyan king who had constructed this temple and arranged for daily milk abhishekam to the Lordships. This temple Lordships is glorified by our Nammazhwar .The temple is one of the 108 srivaishnava divya desams . The temple is also classified as a Navatirupathy , the nine temples revered by Nammazhwar located in the banks of Tambaraparani river. During the last days of his illustrious sainthood , Nanjeeyar was bedridden. One new disciple came to him and pleaded Acharyar “May I now request you Swamin, to chant the “Dwaya Mantra”? ” Thirukkolur Pen Pillai Rahasyam”…. …..insights for a aspiring devotee to spiritually progress in this material world. 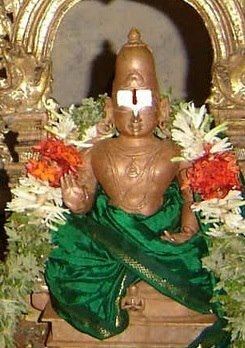 Once , Swamy Ramanuja proceeds along with his disciples to Azhwar Tirunagari near Thirunelvelli , the appearance place of Swamy Nammazhwar and offers his obeisances to Lord Aadi deva perumal . Being the appearance place of Madhurakavi Azhwar it had special significance and is believed that one who reaches this place and has darshan of the Lord here seldom wishes to leave the place due to the incomparable divine beauty of the LORD at this place . This is the place where Nammazhwar imagined himself as a beautiful maiden and sings the wonderful pasuram ..
Recollecting the below sweet verses Swamy Ramanuja walking along with his disciples to have Lord’s darshan . En route , all people from the nearby villages had arrived to seek Jagathacharyar blessings . Among them a lady humbly prostrated and offered obeisances . Swamy Ramanuja pleased with her devotion asked her as to where was she coming from. and said my child !! My child !! 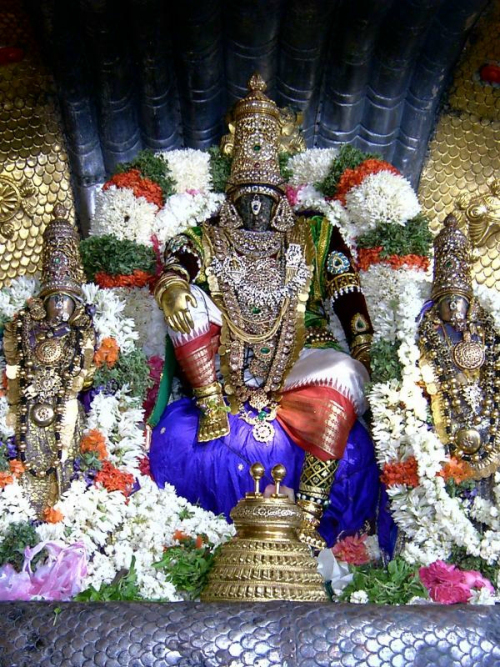 You know ….Thirukkolur is a holy place and most sought by the devotees who rush to be among the wonderful people there worshiping the Lordships . The lady who was glowing with effulgence replied eloquently in a free flowing and unimpeded manner a set of eighty rhetorical questions, which referred to various divine incidents in the lives of sages, saints and the Lordships on her eligibility to stay at Thirukolur . In each of the questions she compares the depth of devotion displayed by the immortal characters and thus submits her ineligibility to worship the Lordships and had no right to expect that Lord would treat her in a special way. This great work is called ” Thirukkolur Pen Pillai Rahasyam” written by the great Acharyar Swamy Thiruvaimozhi Pillai provides deep insights for a aspiring devotee to spiritually progress in a material world. The 81 questions referred have been briefly reflected below along with english translations . The Thirukkolur Pen Pillai Ammals questions ……. What is my eligibility in staying at this holy place …?? Did I go on a holy mission like the great devotee Akrura ? Did I entertain Vidhura in my home ? Did I cast off my body like the Rishi’s wife ? 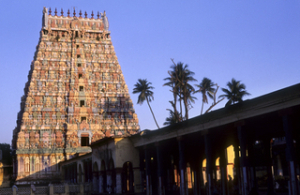 Did I ransack religions like Thirumisai Azhwar ? Did I do a mite of service like the squirrels..
Anuppi vaiyum endREnO vasishtarai pOle………. Did I keep my assigned place like Bharata…. Did I land on the other shore like Guha..
Did I fight with the demon Jatayu ? Did I deserve the command STOP HERE as Idaiyaitrukkudi nambi..
Did I exact promise like Goshtipurna…. On hearing these questions and her deep understanding , Swamy Ramanuja was thunderstruck. Swamy Ramanuja delivered a sweet discourse that made her reconsider her hasty decision in leaving the holy place . The lady very respectfully offered obeisance’s to Swamy Ramanuja and requested Swamy to initiate a system to be adopted at the temple where the Lord is offered traditional poojas daily , fortnightly ,monthly and annual festivals with pomp and show . This would increase the glory of the holy place and force the people to stay there forever . Swamy Ramanuja ,Ammai along with the disciples entered the holy place Thirukolur The pious lady invited Swamy Ramanuja to her house and offered prasada to be honoured by Jagathacharya . Swamy gladly accepted the same . 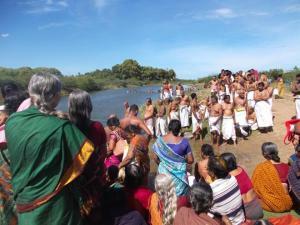 Later all of them went to the temple at Thirukoloor and offered prayers to the Lordships. Thirukolur Penpillai rahasyam (Thirukkolur Ammal Varththaigal ) became a legendary guideline for ardent devotees seeking Lords lotus feet . He blessed her and saw to that the due performance of all festivals connected with LORDSHIPS and Madhurakavi Azhwar are celebrated grandly as emphasised by shastras . 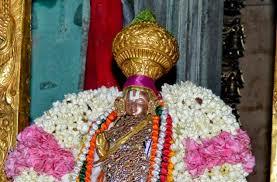 THIRUKOLUR” signifies in tamil ( THIRU + KOLUR ) which means this is a treasure house of wealth. Few hundred years ago , Swamy Ramanujar during his travel to this divine place , saw a lady leaving the village with all her belongings near the boundary of the Thirukolur village . Swamy was surprised and hence asked her why she was leaving such a holy place when many come from far distances to render service the the Lord here worshiped by the great Nammazhwar ? Swamy Ramanuja along with his disciples proceeded on a pilgrimage to divyadesams glorified by Azhwars . He reached Thirunagari the holy place where Swamy Nammazhwar appeared .He prostrated the Lordships at Sri Aadhinathar swamin. Later proceeded towards Thirukolur with the thirst to serve the Lordships who were glorified by Swamy Nammazhwar as ” Sri Aravindalochana and Sri Vaithamaanidhee perumals. It is said that one who has darshan of this holy dhaam and Perumal here will not wish to leave the place . Swamy Ramanujar proceeded further to the holy spot with entourage .He was overjoyed to reach the divine place where Sri Madhurakavi azhwar appeared . He recollected Swamy Nammazhwar pasurams in the sixth sataka of Thiruvaimozhi –..”Unnum soru parugu neere pasuram ..